Educated dental patients are loyal patients. Deliver dental-related patient education through the Solutionreach platform. Solutionreach gives you the ability to segment patients based on numerous criteria and deliver educational eNewsletters that meet their specific needs. Sure, it’s a great way to stay connected and build loyal patients. But it also gives patients the information they need to stay healthy outside of the office. 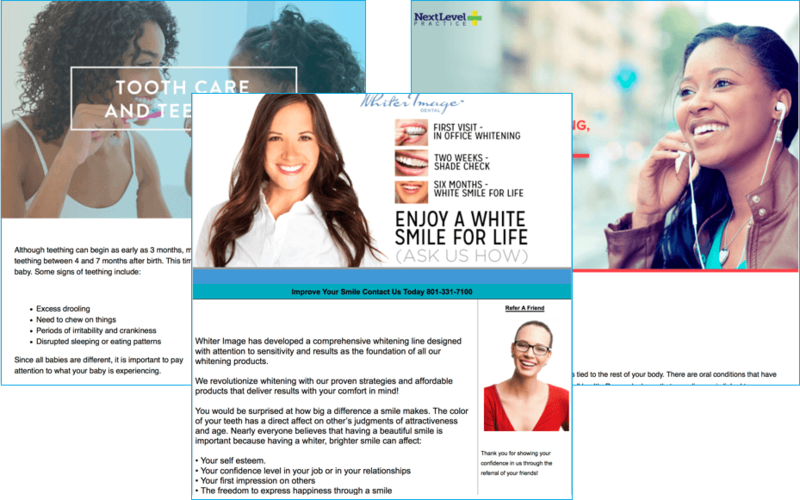 Customize Solutionreach’s professionally-designed eNewsletters to include oral health tips, information about common dental procedures and more. You can use our pre-written articles as a starting point or create your own content from scratch. Educate your patients on important dental topics, and you’ll create patients for life. Communicate special patient events to your clients, like Dr. John Flucke does with his. Do you need a way to keep patients on track after a particular treatment? Of course you do. What practice wouldn't want that?? The Solutionreach platform makes this easy with tools such as newsletters, social media integration, and patient reminders, so you can send targeted educational information and ensure your patients are making and keeping follow-up appointments. Be real with your patients by giving them info that’s truly going to help. Solutionreach offers the right tools to make that happen. 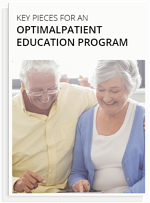 Learn the key pieces of an optimal patient education program.